Jack Douglas is a record producer of amazing vitality and variety. Just look at the guy's resume: He's worked with The Who, produced records for Aerosmith, John Lennon, Clutch and dozens more. He discovered Cheap Trick and got them their first record contract. And he's a hell of a nice guy as well. We were lucky enough to talk to Jack recently about his impressive career, his work on the new double-live Aerosmith release and, yes, even Zebra. Lou: Jack, the new album sounds really good. Jack: Cool. Yeah, I like it a lot, man. It sounds like the band. Lou: How many shows did you review for that album? Lou: Really. I was wondering why songs they played on the tour didn't make it to the album, specifically "Nine Lives" and "Pink." Jack: Well, here's the deal. It's a Geffen Record. So anything that's on Columbia/Sony has got to be licensed. Scott: So expense was something you had to keep in mind. Jack: Well, I went ahead and mixed both "Nine Lives" and "Pink." There are all kinds of obscure tracks, too, that they never do live like "Nobody's Fault" "Pandora's Box". I mean, all these tunes are sitting in a box, man, ready to go. So when Columbia calls for a live album somewhere down the line, there'll be some pretty neat stuff on it. This is primarily Geffen. If you look at what Columbia stuff is on there, it's like the big ones. Like "Dream On," "Same Old Song and Dance," "Walk This Way." Of course, you know "Train" (Keeps a Rollin') isn't on there. A little bit of everything but mostly Geffen stuff. Scott: You mentioned that it sounded like the band. That's one of the things I liked best about the record. It sounds like a big live show, like you're in the arena. Jack: Yeah, well, I tell you - I'm really thrilled with how it sounds and I'll get back to how we did some of that but if you wanna hear really in the arena, we did five one-mixes of this album, too. That's Dolby surround. Six discrete channels. They're talking about halfway through next year having an audio only DVD which will play on your CD player - just a stereo mix - but if you intend on investing on a little hardware down the line and you end up with like a Dolby home theater system and you play this - it is exactly from the perspective of the mix booth at the arena. This audio-only DVD is really gonna change a lot of the catalogs around. There's a lot of stuff and a lot of people want to hear their stuff in six discrete channels. Scott: Sounds like a big boost for DVD. Most people think of it today as only a video media but it sounds like there's a big future for audio there, too. Jack: Yeah, well, if you look at it this way: Why do movies sound better than CDs? I mean, when you go to the movies, it sounds pretty good, right? Well, you know, we're supposed to sound better than the movies. That's a movie, right? We're making records. It's the natural way to go. I think beginning of next century that's what we'll see. That kind of system in the home once the price goes down on it. Lou: I've heard that about video sound, too. That it comes out a lot better. Jack: Well, you're dealing with a higher sampling rate. All the way around. When I did the five-to-one, I was working with optical video equipment and, man, that stuff sounds just absolutely amazing. Same as the movies. It's nuts. It's absolutely nuts. The realism: I mean, literally, you hear people walking by and their conversation. Lou: That sounds like a couple of bootlegs I have. Lou: That's a really good album, too. Jack: And while we were doing that, we were in Detroit, in some smaller venue. I remember it had a balcony. And at the same time that we were recording that album, we were doing live radio broadcasts. Right over the air, man. There were some amazing bootlegs made from those broadcasts. But at one time during the show, I hear a guy start talking. Like really close. And he was like doing a pitch for this garage that he worked at. "Come on down to Al's garage." And I was like "What the hell?" And we were trying to find the mic that it was coming from, you know, it was like a ceiling audience mic. This thing was hanging from the ceiling. And we were like, "How the hell did this guy do that?" And then this girl got on it. Finally, we cut this mike off and we went on with the broadcast. It turned out that what had happened - we went back and listened to the tape and we soloed up that mic. And this is what you heard: You heard like (makes wind noise) like wind. This thing was falling. And it was falling from the ceiling. And then you heard, "Oh!" because it was hitting someone on the head. And then the guy picked up the mic and he started talking in it and then he passed it all the way down the row. This was like a $3,000 Neumann mike. And after the show was over we went out to the audience and the mic was just sitting on the seat. They all had their fun and when the show was over they left it there, still connected. Scott: Little do they know they were part of history. Jack: Yeah, it was great. Lou: I'm curious - was that toward the last part of the album? Because I know the main part sounds like a big arena show but then toward the end, "Mother Popcorn" and a few of the others it feels like you're in a little small club or something. Jack: "Mother Popcorn" came from a small club in Boston - boy, you guys got good memories. Jack: Yeah, it came from a small club in Boston. It was recorded live with two mics in the audience. I mean, that was the real thing, man. It feels like what it is. And you guys caught it. It's what it is. Scott: Well, here's the million dollar question: Did you do any overdubs on the new album? Jack: I have to admit that I did one overdub. Lou: A little touch-up work? Jack: No, here's what it was, man. On the song "The Other Side" there is one lyric that Steven got wrong for 70 performances. Just a little stupid thing. It was always wrong. Whenever that song was done, that lyric was wrong. Now it was a matter with Steven. I said to him, "Steven, it's fine, man." He said "No. Let's give 'em at least the right lyrics." In one place, that was it! I went up to The Boneyard - that's Joe Perry's studio at his house up in Boston and we laid in that one line. That's it. I would have to say that the album is 99.99999999 percent live. There is one line in there - you'll never find it - there's one line in there that I had to put in. There was no way that I could fly it from another performance. Lou: Was there any touch up work on "Live: Bootleg"? Jack: Umm, not . . .maybe minor. Very minor. What we did there, ya see, was if there was a technical problem, like a wire went out, a line went out, a mic broke or something, then we'd have to fix it. And the idea, of course, was that it be really, really live. 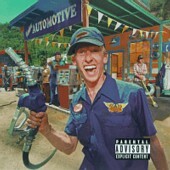 The same with this album. But, with this album, we had the luxury of finding like the coolest things and flying them over in ProTools. I mean, we didn't have ProTools back then. So, if there was like this incredible guitar solo from Detroit and I wanted everybody to hear it, then I could fly it into the Tokyo performance with ProTools. That was the big luxury. But, like I said, 70 shows, and he just made the same mistake. I couldn't fix it because I didn't have the ammo to fix it with. Scott: That was something I intended on asking you - how has today's technology helped you as a producer. Jack: Well, there's your answer right there. I could never have done that without the help of the computer; without ProTools. Also, you know, back in those days, we used to do those mixes without any automation. And, at this point, we transferred from the D88s to make it sound kinda analog and then we transferred over to a 3348 Digital. But you know what? You know where it ended up? It ended up analog, I mixed it down to an analog - 40-year old one-inch two track at 15 i.p.s. About as primitive as you can get except for the size of the headstack. So, I don't know if you guys know anything about two track, but two track is normally a quarter of an inch. And this was a custom made two track head where each head, each track was a half-inch. It was a one-inch. The machine had been an 8-track machine, so normally you put eight-tracks on it, this had just two. That's why it's so nice and heavy and thick and fat. That's why the record sounds like that. So analog in the end. Times two. Lou: I heard Neil Young talking about how he wanted to get back into analog sound. A lot of people seem to want to do that. Jack: Oh, absolutely. Until they take another step in digital, analog is the way to go. Most of the albums I record, I record basically on two sixteen track machines, analog. But then, because of the convenience in dealing with it, I can bounce those two sixteen tracks onto a 3348 digital machine. It doesn't add anything, it doesn't color anything, but it doesn't record with the kind of punch from the beginning that I would get with the analog. Then I just transfer off the analog onto digital. And then I mix back onto analog again. So I kinda use the best of both worlds there for awhile and, of course, I end up mixing through a computer Sonic Solutions System, you know, it's tough to get around that. That's where most labs are today. Lou: You've been producing for many years. Do you find it easier to produce albums today than when you were producing say, Cheap Trick's first album? Jack: No. It's not easier. It can be harder but it's about the same. Here's the thing: If you get hung up in the sampling game or that stuff. And then the ProTools and the amount of things it can do. If you start playing with the technology more than you concentrate on just getting a performance from the band and getting it on there. I mean, if I were making techno-music or acid jazz or something, I'd get hung up in that stuff. But as it is, I just use it as a tool to do what I have to do and keep the album moving. Because no artist wants to sit around unless it's a situation where you're a rap artist and you're the artist and the producer and you're in there sampling, well, that's part of the game. But most bands are not gonna sit around while you play with it. You just lose the whole feel. I just find that you can get hung up in the technology. Scott: You mentioned all those shows you had to go through in order to put together the new album. Out of all those tapes, what were you listening for that made you decide what performances to use and which not to use? Jack: Well, I listened for Steven's vocals first, and the drums second. The drums second because if I had to fly something in, the drums are most difficult because I'm dealing with ambient sound. So if I were to fool around with the drums, you would hear it in the house - you know, the house mics. So you don't want to screw around with that too much. Occasionally, like a cymbal would go out or something and I could fly a cymbal crash in. But, you know, with these guys, it's pretty easy. I mean, Joey is always there. But Steven's vocals were first and then the drums. 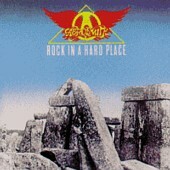 Lou: How are Aerosmith to work with? Jack: This is like the ninth or tenth album I've done with them. So with the band and myself, it's like an old pair of shoes. We know each other so well. Scott: How would you say the band has improved, performance-wise, since the first album you produced with them? Jack: Oh, well, the musicianship is improved like tenfold. But, the energy that they had in the beginning - that they manage to sustain that - I think is the key to their longevity. And I think that has to do with the fact that they're still having fun. And you can tell it. I mean, their albums are always kinda tongue-in-cheek. They never take themselves too seriously. But they do take their playing very seriously. And they rehearse. And Brad Whitford still blows the whistle if there's something really wrong live. Brad is probably the guy you'd least expect it from. Aside from Steven making like little comments but Brad will say, "Well, we need rehearsal here. Band rehearsal. We're getting off here from the record was." What he tries to do is try to get the band to deliver the albums to the audience. Lou: I think I read somewhere that at one point, Aerosmith had gone to Glen Ballard, who produced Alanis Morrisette's "Jagged Little Pill" and asked him to produce "Nine Lives" and it just wasn't coming out the way they wanted it to . . .
Jack: Yeah, I think he's a wonderful producer. But sometimes you've got apples and oranges. And those guys are really like . . .they're a band that has to play together in the studio. They're not, you know, let's lay this guitar down, sample this, make a drum loop. I mean, that's all right, but you don't get it from them like you do when they're all in the room together, playing. They really feed off each other. Lou: When you worked with them on "Rock In a Hard Place" was there a different atmosphere without Joe Perry there? Jack: Oh, there was a tremendously different atmosphere all the way around. You didn't have Joe and Brad. You had Rick Dufay who was a real ball of fire. That kinda made it fun. I think we were all in a drug daze at that time. Drugs were not fun at that particular time. Lou: But that album is still pretty solid. Jack: Yeah. It's surprising to us. Let's just say that Rick really held things together at that point, you know, for the band. I mean, Tom and Joe were just rooting that we would get the thing done. Steven was at a loss for lyrics. It took them a long time to make that record. And Rick, because of his humor and energy, was able to drive us all. Drove us crazy, mostly. But that helped a lot. Kept us awake. Scott: Back to the new CD - about how many shows are actually represented therein? Jack: I guess about 20 or 25 shows. Scott: That's amazing because the way it plays and the way its cut together, it plays just like one show. Except for the fact that Steven's saying different cities every now and then. Jack: Yeah, right. That was the idea. To make you feel like you were enjoying one show. And I like the idea that every once in a while he reminds you that this is a trip around the world. You know, Steven has an amazing memory. He really helped a lot when I first started listening to the shows, he called me up and said, "The magic words are Las Vegas, Palm Beach, Los Angeles." He remembered all these great shows. "Munich, Yokohama." So he gave me a list of the shows he remembered as being really hot and that was a big help. Surprisingly, some of the smaller venues, like State College Pennsylvania, were really hot shows. Mostly because the audience participated in the shows so much, it was such a lively, upbeat, crazed audience of college students going out of their minds and the band really works off of that. Scott: You've produced not only live albums but studio albums as well. What's the difference between producing those two genres? Jack: Well, I've certainly produced a lot more studio albums than live albums. Live albums can be scary because you never know what's gonna happen. Like I just gave you that instance with the microphone falling. I mean, I like it. It's an adrenalin rush. I was just talking to somebody the other day about a couple of years ago working with Lee DeCarlo on the Academy Awards. We were doing a live broadcast of the Academy Awards - we were doing all of the music, all of the sound to a billion people. And, this guy that I was working with, Lee, he took a nap two minutes before broadcast while everyone else was pulling their hair out. It's amazing how you can be that relaxed. And all kinds of things went wrong - a guy was playing piano on stage and singing, I can't remember his name, and he suddenly completely forgot the piano part - all he could do was sing. Suddenly, there was no piano. And the guy in the orchestra pit had been at rehearsals and he suddenly started playing the part. And we had to go bring that piano - we were going "Where's that piano coming from?" - and stuff like that, that's what makes live stuff a challenge. You know, we just did an online concert about a week ago and that came out surprisingly good. Scott: How is that media to work with? Jack: Well, you know, you gotta squeeze and compress quite a bit. I was monitoring right off line and I couldn't get that monitor for awhile but once I did, I had to roll out quite a bit of bass and a little bit of really high top and add like low treble, like three to five thousand cycles, I had to put a little hump into it with that. And then it sounded really good with a lot of compression on it. It sounded quite good. I think it's on like once a week now until the end of the year. And, of course, the Aerosmith-cams, like every guy in the band had a camera on him, on him physically - on his chest. And people at home could select which camera they wanted to watch. Online is where we're going. As the speed of the modem increases and the bandwidth increases - it'll be as good as TV. That and High Definition TV would be amazing. Lou: Let me take you a little back in time. When you were working with John Lennon, did Yoko Ono get much in the way? Jack: She didn't get in the way and I'll tell you why. Because those two could not work at the same time. If she were there, it would have been impossible. It was just impossible. I had to treat that album as two separate albums. 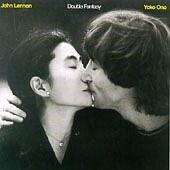 I know that they're both artists on the record, but I had to treat it as a John album and as a Yoko album. My routine was like this: 9:00AM, breakfast with John. Yoko from 11:00 and then John would go home. Yoko from 11 o'clock until about 6:30PM. And then she would go home. John would come in at 7:00 and would work until about one or two in the morning. I never worked with both of them at the same time. It was impossible. Because she drove John crazy. Scott: Well, speaking as a married man, I couldn't work with my wife either. Jack: Well, yeah. Just imagine it. I have to tell you, back in the early, early 70s, I was working on "Imagine" - I was an engineer at that time. And John asked me to work with him on Yoko's stuff. And so, John was producing, I was engineering, we were doing Yoko records and on the second day of that album, John got busted for laughing. He had to leave, he was banned from the studio. And that was that. And that kinda like set the tone of how it was going to be like. The only time we worked together was when were doing a song called "Walking on Thin Ice" because John and I were playing the instruments and Yoko was singing. Scott: Working with John Lennon must have been a highlight of your career. Jack: Yeah, he was just an amazing man. I mean, we could talk for hours about him. And I have to tell you, the anthology album is about to be released . . .
Lou: Yeah, how do you feel about that? Jack: Well, I feel great about it. I got a radio sampler the other day. The lead track on the radio sampler is something that I thought would never see the light of day. It's a version of "Losing You" I did with John and Cheap Trick. And that's coming out. And it's killer. It's live. Rick and John on guitar, playing off each other. And John singing live. Oh, man, it is killer. And it's the lead track on the sampler so it's probably gonna be a single. And it's killer, man, it's just killer. Rick Nielsen takes this insane lead in it, it's wild, man. 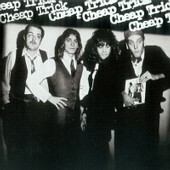 Scott: Since you mentioned Cheap Trick, any thoughts about them? Jack: Oh, I love Cheap Trick. In fact, I'm working with them Friday night on the Conan show. I'm gonna do their broadcast mix. So check it out, man. They're in town in New York - you know they're doing this thing where they're playing their first three albums - they're doing three nights here. And, God, I just love those guys. You know, we did a couple of records. I got them signed to Epic Records when I saw them playing in a bowling alley in Wisconsin. Jack: Yeah, I got them their deal. And I mean, I was just knocked out by them. And I think they wrote the book for a lot of bands today. Lou: Did you assist any with the double CD re-release of "Budokan"? Jack: No, no. That was totally done at the label, Epic. But, you know, I'm happy about all the re-release stuff. I think it's cool. And again, there's all this re-release stuff from the first album. And all that stuff that we did on the first album is seeing the light of day now, stuff that no one's ever heard. Original versions of stuff. We recorded thirty songs for that first album so, very cool stuff. They need a new record, man. I mean, they just had one, but they need a major to snap them up and get them out there. Because those guys are dedicated and they love what they're doing. Scott: I thought it would be great if they were doing these first three record shows to release as a live set. Jack: I wonder? You know, they're probably recording them on D88s. I'll find out when I talk to them tomorrow. They're doing three nights at Irving Plaza here in New York which is a great venue, small place, and I hope they're recording them. Lou: Can I ask you about Zebra? Jack: Zebra!? 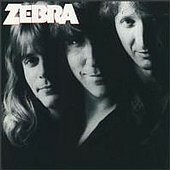 You guys know Zebra? Lou: Their first album was so great! It had a little Zeppelin spice to it. Jack: Well, those guys are Zeppelin fanatics. Except for Guy, the drummer. He never liked John Bonham. It was so weird. You know, Guy always wanted to be a jazz drummer. And he gets into a band that's like totally Zeppelin-inspired. It was so weird. Lou: Was that a pretty easy album to go about doing? Did you have demos? Jack: We had some demos and then we went out to a little studio in Long Island near where the band lives and we did pre-production there and we went down to New Orleans where they also live and when we thought the whole thing was together we cut the album at Atlantic studios. Lou: So they pretty much had the whole thing written out. Jack: Well, they had a lot of songs written. In fact, that was the problem with the second album, that there were no more songs and the band was on the road promoting the first album and Atlantic called for the second album. I think it was a contractual thing because when they called for the second album, they didn't have to pay them royalties. It was one of those kind of deals, you know, it was a crummy contract they signed. So the band was forced to go back into the studio to do the second album before they had time to really sit and write material and that was the end of their career, really. It's one of those stories: You have a lifetime to get your first album together and then, literally, you're told you have two weeks to get your second album together. And it's more important than your first one. Scott: That's one of the things I think Alanis Morrisette did that was so smart - waiting so long between records. Jack: Absolutely. God, I love her. The thing with labels, you get into a royalty position, some contracts have a deal where it says - well, at least back then, I don't know about now - where it says that everything you record is based against your royalties so, if you have a huge amount of royalties, a label will put you back into the studio and that puts you back in the red and then they don't have to pay you royalties. It's a nasty business, folks. Scott: Would you kindly, in your own words, describe exactly what it is that a record producer does? Jack: A record producer is very similar to a movie director in that he has to deal with taking the band's concept of what they want to say and conceiving it. The band will have an idea of what they want to say on their record but not know the technology to get that on the CD and a producer facilitates that. A producer can be an engineer, can be a musician or he can just be a psychiatrist. I tend to be all three of those plus priest and facilitator. Lou: Can you tell us a little about your work on The Who's "Who's Next" and what it was like working with Keith Moon? Jack: What a blast to be working with those guys, especially when Keith Moon was around. He was just phenomenal. Lou: I hear he was a guy who really lived it up. Jack: Oh, man, did he live it up. I thought I'd seen everything, but I hadn't. First of all, I was just a kid. It was one of the first records I got a chance to be an engineer on. I started out as an assistant engineer and ended up engineering all that stuff. You know, I was really "the kid". Pete would take me out every night after we finished, saying "Party! Let's go! Take the kid with us." And then, it was unbelievable. What a blast. I have great memories of that. And I stayed friends with those guys. I used to get letters from Pete that were really nice. I had some amazing jam sessions, I have a nice collection of tapes myself. A jam session with Pete, Mick Jagger, John Lennon and Leslie West. Scott: You should release that. Jack: Oh, yeah, right. It's got to be licensed. It's for my listening only, I guess. 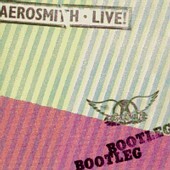 Lou: We talked earlier about the different cities that the new Aerosmith was taken from - what about "Live Bootleg"? Jack: I would guess about 20. I mean, I only recorded about twenty shows. So, aside from the 20 I recorded, there were live two tracks from a few other places like on that live "Mother Popcorn" thing. Lou: MSG. Any comments on that? Jack: Wow. Working with him was like really weird because he's such a technician that Michael would just like . . .I mean he always had a guitar - a guitar was constantly in his hands. And, like, if he was going to be playing a solo, he would be practicing that solo for like three days. Lou: That explains why he's such an amazing guitarist. Jack: He lives with that guitar in his hands. He's a weird guy, man. He'd disappear and he'd be like living in the woods. You know, just like really weird stuff. I really liked him but he was so unpredictable. The only thing you could predict about Michael Schenker was that he was going to play an amazing solo. He was the finest guitar player I have ever seen. I mean, an absolute perfectionist. He would hear things - I mean, I know guitars, I've been recording them for years - and he would say, "Oh, you know, I pinched that note. I'm gonna have to fix that." And I was like, "Pinched that note? You know, you're talking about a 32nd note, how could you tell." He said, "Oh, no, the vibrato's not quite right on it." Lou: He's amazing when it comes to phrasing, too. Jack: He's got a pretty amazing acoustic album out. New-agey, he's playing classical guitar. It's nice. Scott: What are you working on now, Jack? Jack: I'm doing a film score that I'm writing. A movie called "New York Minute." I'm writing it with Joe Perry. And then I just finished a pilot for a horror radio show and I got an album to do coming right up called The Nocturnals. Scott: What kind of music is that? Jack: It's, you know, kind of alternative metal. 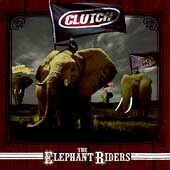 I don't know if you guys know Clutch but I've got that out right now. That's pretty cool stuff, It's extreme but it's cool. It's very heavy. My plate is full right now. Lou: What other producers do you admire? Jack: Puff Daddy. That's cool stuff. Lou: What do you think about Rick Rubin? Jack: I like Rick Rubin a lot but he sounds like me. It's traditional stuff. You know, I'm talking about out there. Guys doing weird stuff. Scott: What about a favorite band? Jack: My favorite band is Foo Fighters. 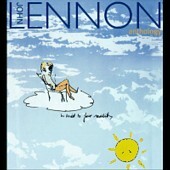 Lou: I heard a cover they did recently - a Gerry Rafferty tune, I think. It was weird. Jack: Well, if it was weird, I'd probably like it. Copyright � 1999 by R. Scott Bolton. All rights reserved. Revised: 31 Jul 2018 23:38:09 -0400.